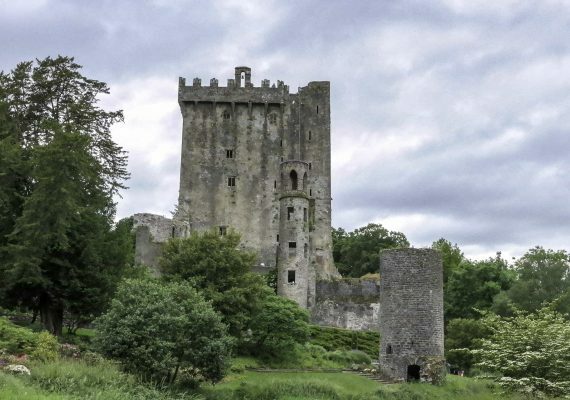 From majestic castles to gorgeous countryside views, Ireland is filled with Old World charm. 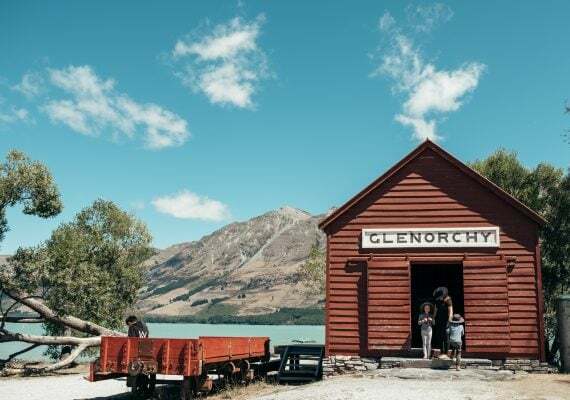 But if you’re traveling in Ireland with kids who need a little more stimulation than simple sightseeing can offer, you’re in luck. 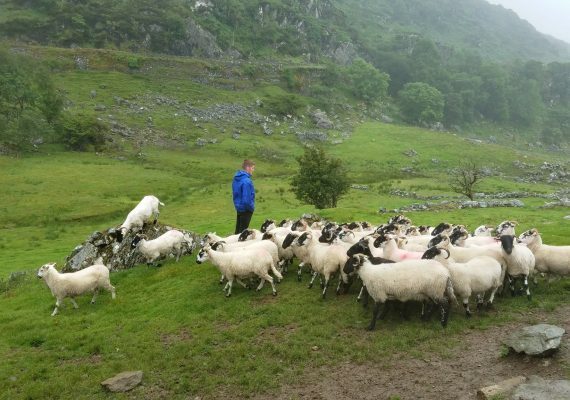 Ireland is filled with activities that are especially perfect for nature-loving families. 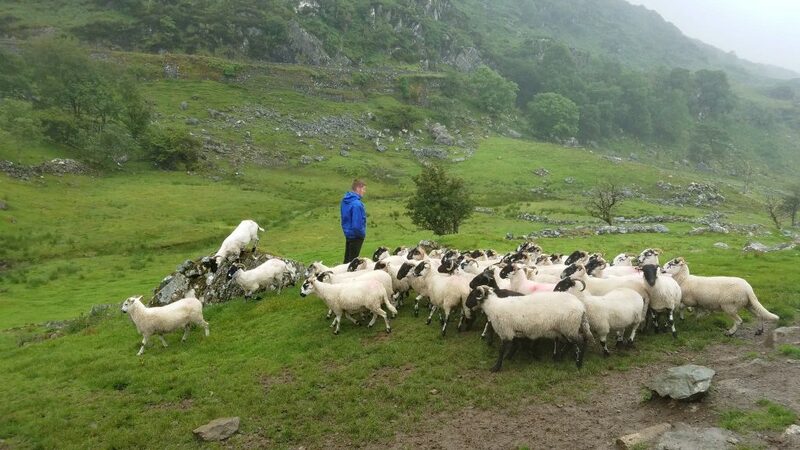 Whether you’re petting sheep at Kissane Sheep Farm or touring the Aillwee Cave, the Emerald Isle offers fun for all ages. 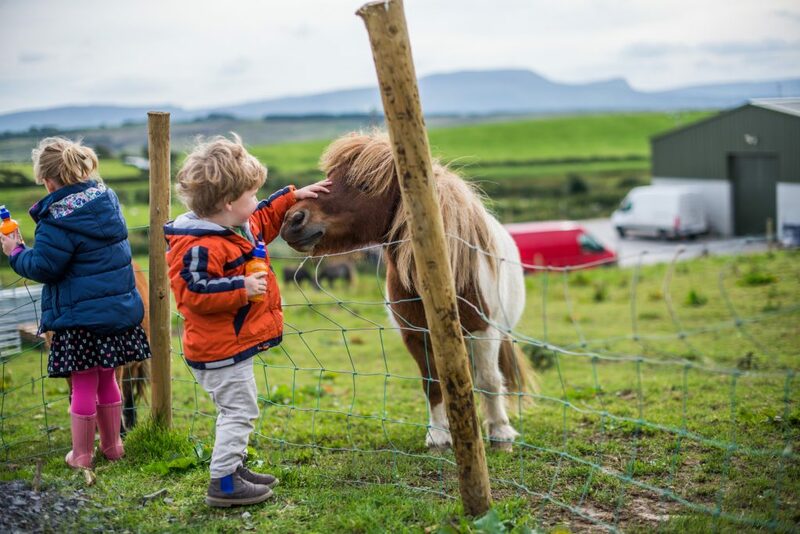 Here are five activities to check out in Ireland with kids. 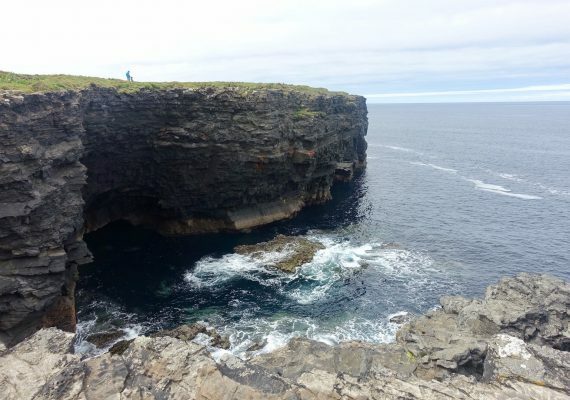 Skip the ultra-touristy Cliffs of Moher, which, while breathtaking, are crowded year-round. 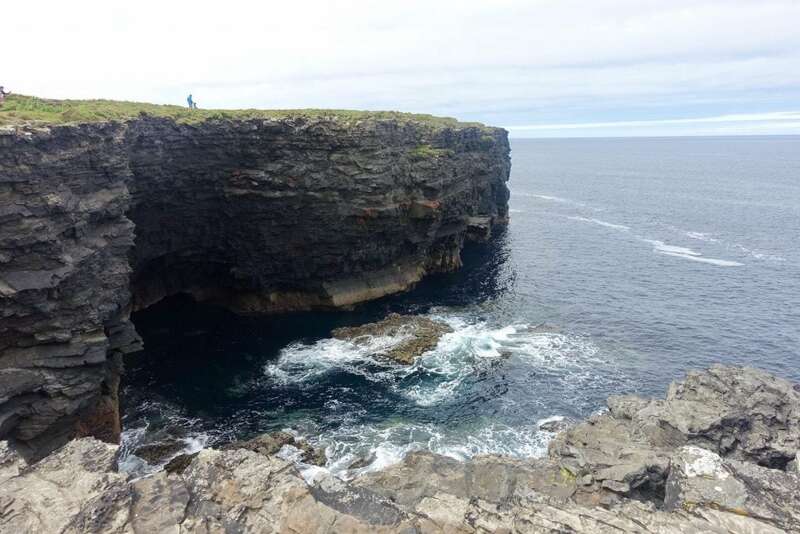 The Kilkee Cliff Walk has a paved path that’s perfect for strollers and is relatively flat. 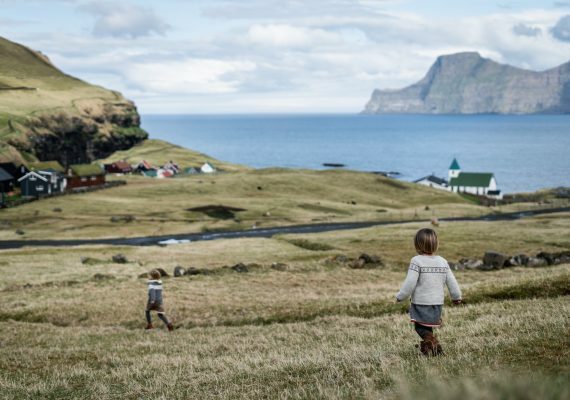 The views are beautiful, and little ones will love pointing out cows and horses along the way. The Castle Adventure Open Farm is your family’s one-stop shop for a full-day mini-adventure. From visiting with the animals to riding the barrel train, there is no shortage of activities here. Kids will love playing outside all day, and parents can appreciate the lovely scenery. However, it’s cash only, so be sure to hit an ATM before you go. 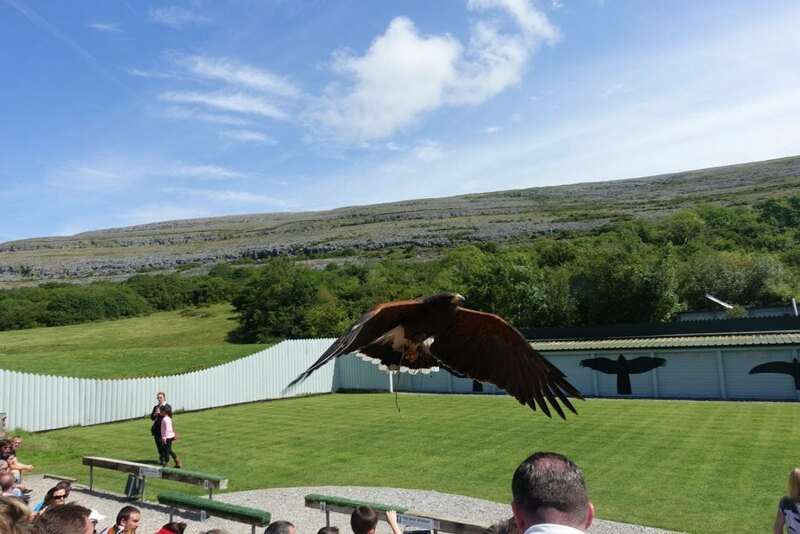 Here’s another nature experience you won’t want to miss: a tour of Aillwee Cave and its Bird of Prey Centre. The tour of the cave is short enough that children won’t get bored, but do keep in mind that it’s about ten degrees cooler inside the cave – don’t forget to pack layers. 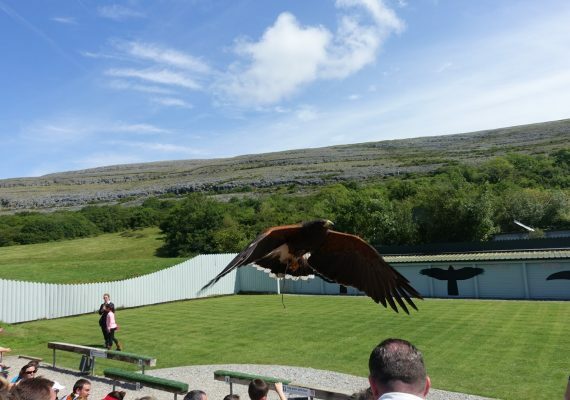 At the Centre, nuggets will get a close look at birds of prey in an awesome flying display and will learn about the importance of wildlife conservation. You can even go on a guided “Hawk Walk” to see these birds in their natural environment. If your kids are animal lovers, be sure to check out Kissane Sheep Farm. They’ll not only get to meet the sheepdogs and watch a herding demonstration, but also pet the sheep and see them get a haircut! It’s a great way to introduce children to life on the farm. Did you know that the Emerald Isle is filled with excellent spots for surfing? If you’re traveling to Ireland with kids who are older or more adventurous, this could be a great activity. 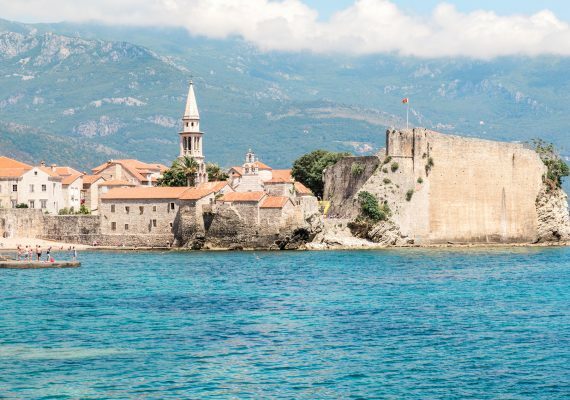 Keep in mind that the rugged Irish coastline can be dangerous, so consider booking a lesson with a trained surf instructor before hitting the waves. LOOKING FOR MORE IRELAND INSPIRATION? 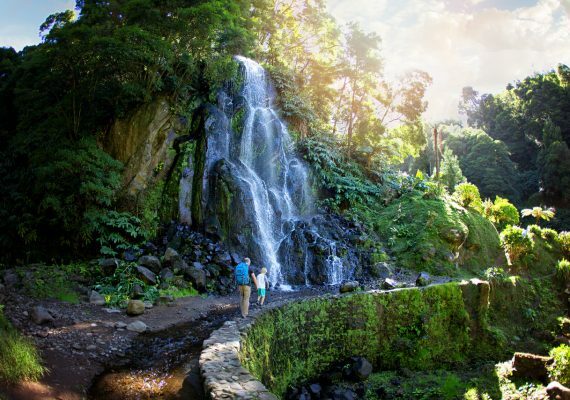 Discover even more family fun with these Ireland itineraries.